It is almost a year since I headed to Shepparton on a Jawun secondment to work with the Yorta Yorta Nation Aboriginal Corporation (YYNAC). My role was to help them to develop their social media presence and internal communications tools. It was a big brief for six weeks, and it is great to see that they continue to be very active on Facebook, having over 700 followers liking their page at https://www.facebook.com/YYNAC. For me, it was a really enriching and challenging time and one of the highlights of my public service career to date. When I heard that I would be working with YYNAC, I was thrilled – as I had read about the work that they had done with researchers into building bridges between cultural knowledge of land and scientific research. For example, their ongoing partnership with the Monash Sustainibility Institute has resulted in numerous research papers. I was very fortunate to be in the audience for the presentation of their paper Indigenous voices in climate change adaptation, at the National Climate Change Adaptation Research Facility (NCCARF) conference in Sydney last year. Another researcher from the US, Caroline Addler has also worked with the Yorta Yorta people over the years – check out pp 36-37 of Mountain Meridian. I have recently heard that they are developing an app for mobiles and handheld devices, using Bluetooth technology, with the working title Bluetooth Tourism Product: for a walking tour around Barmah National Park. This project sounds really exciting and I can’t wait to go down to visit and try out the app. Since the closure of the Dharnya Centre we continue to create opportunities through a range of different activities that can value add economically and educationally. The particular product is a new app tool using bluetooth sensors and tablets. 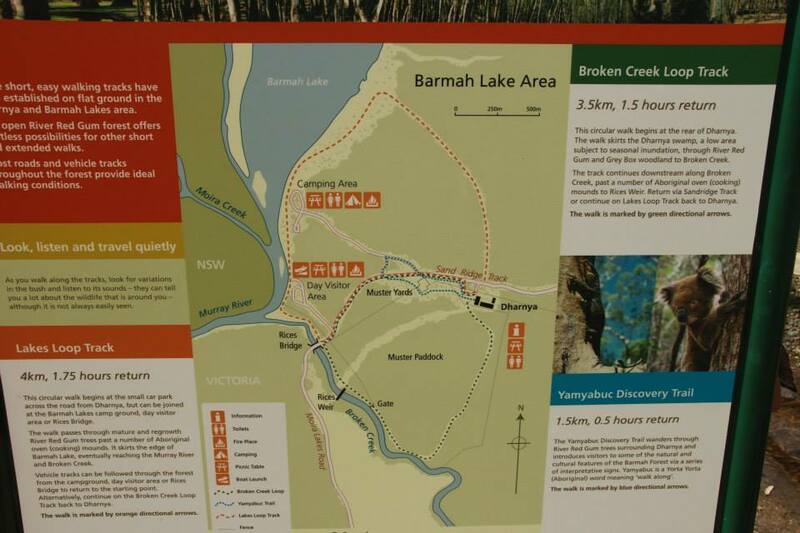 We are currently recording people from community talking about significant areas of country to create a walk from the Dharnya Centre taking in to area to the Barmah Lake, Broken Creek. 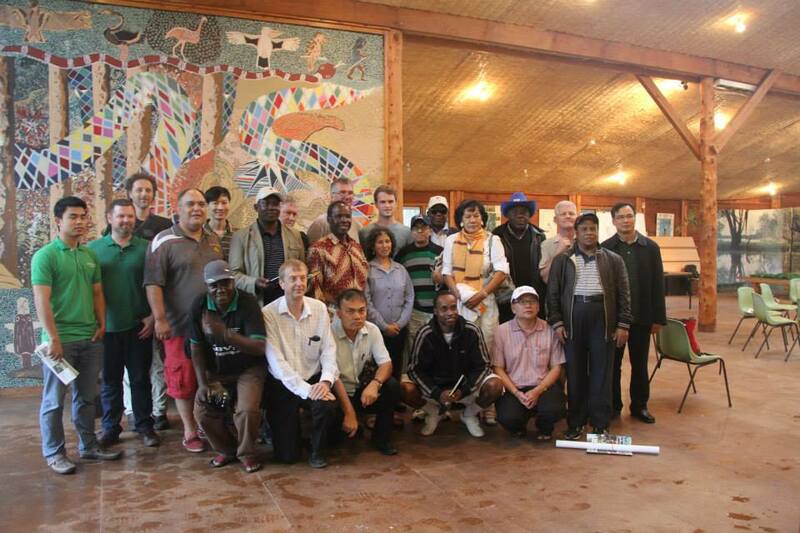 To further highlight the Yorta Yorta peoples engagement with key agencies and researchers, in December 2013, a delegation from the World Bank met with the Yorta Yorta community. The delegation included representatives from Cambodia, Bangladesh, Vietnam, Laos, Samoa and Zambia. The Yorta Yorta people stand out as a highly engaged group, willing to collaborate, share knowledge and learn from new technologies. I look forward to seeing more amazing work from this community. It was a real privilege to work with them and I hope our connection continues to strengthen over time. If you are interested in reading more about my Jawun secondment, you can check out the blog posts I wrote while working with YYNAC on the geokult site. Griggs, DJ, Lynch, AH, Joachim, L, Zhu, X, Adler, CE, Bischoff-Mattson, Z, Wang, P & Kestin, TS 2013, Indigenous voices in climate change adaptation: Addressing the challenges of diverse knowledge systems in the Barmah-Millewa, National Climate Change Adaptation Research Facility, Gold Coast, 64 pp. U welcome. How u doin?